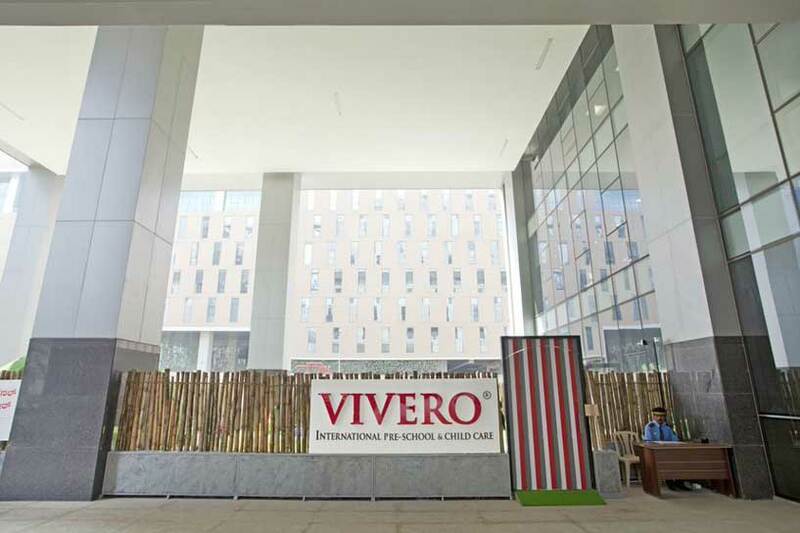 Vivero International Pre-school and Child Care at RMZ, Ecoworld offers research based early year’s education and enriching child care programmes for children aged 6 months to 10 years. The integrated programmes deliver on a quality pre-school curriculum and best teaching practices, combined with excellent child care services. 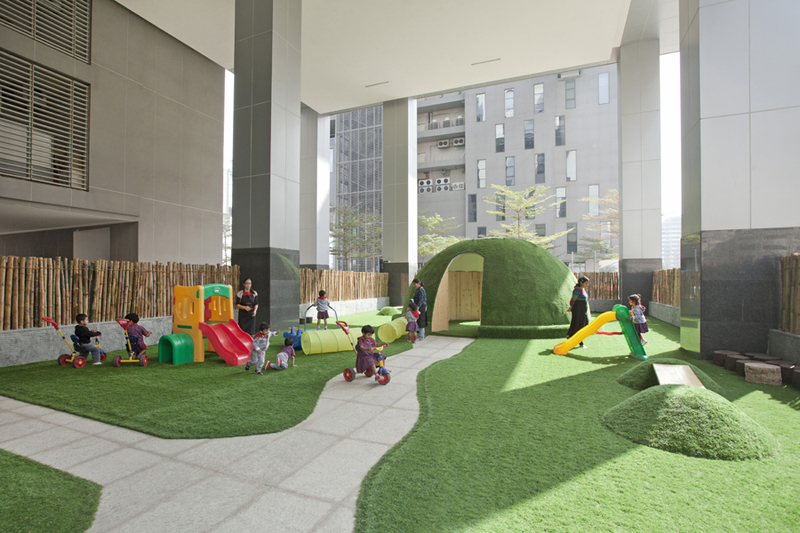 Our exceptional child care offering ensures infants and toddlers are provided with expert care whilst simultaneously engaging in curricular activities. Purposeful planning, careful thought and genuine intention has gone behind the design and layout of this massive 8500 sq. 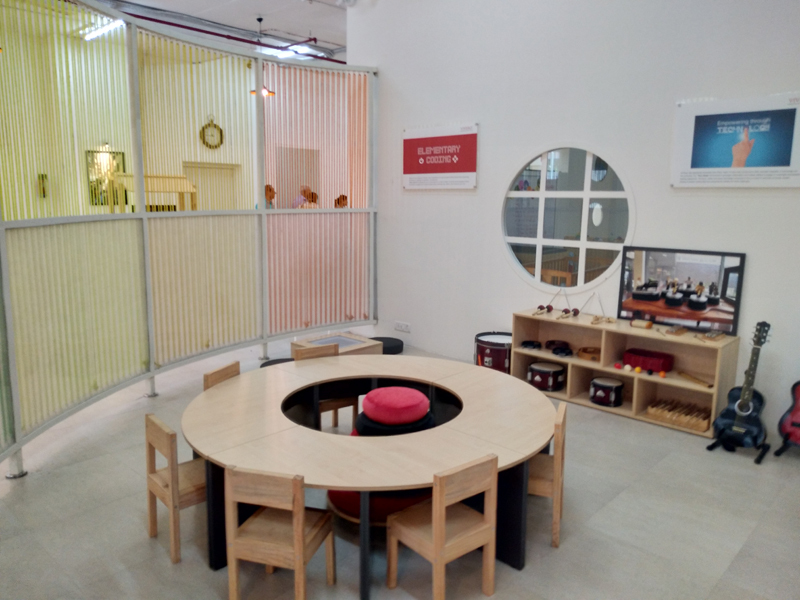 ft. campus merging indoors with outdoors as in a typical Reggio Emilia school. Classrooms are well-lit, and teacher-student ratios are respectfully maintained, to ensure proper attention given. 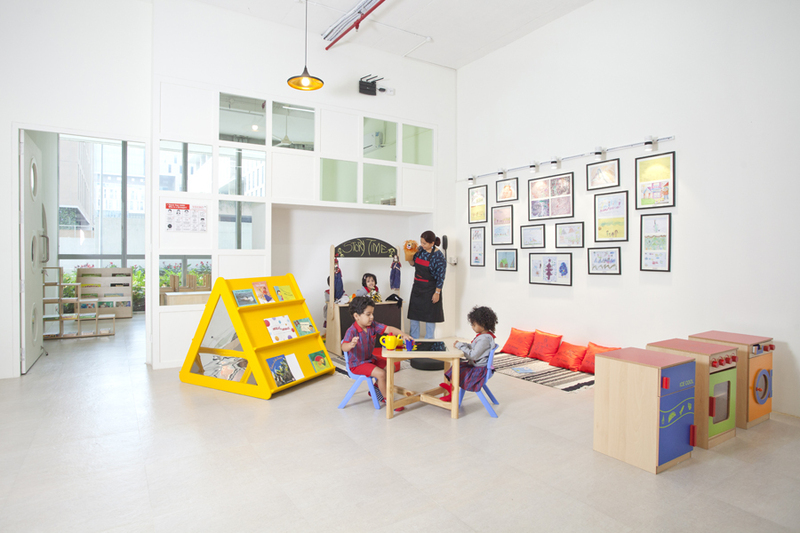 The centre includes various learning zones and Ateliers along with extensive outdoor play space to intentionally support the environment as "the third teacher" and encourage children's curiosity, creativity and interests. 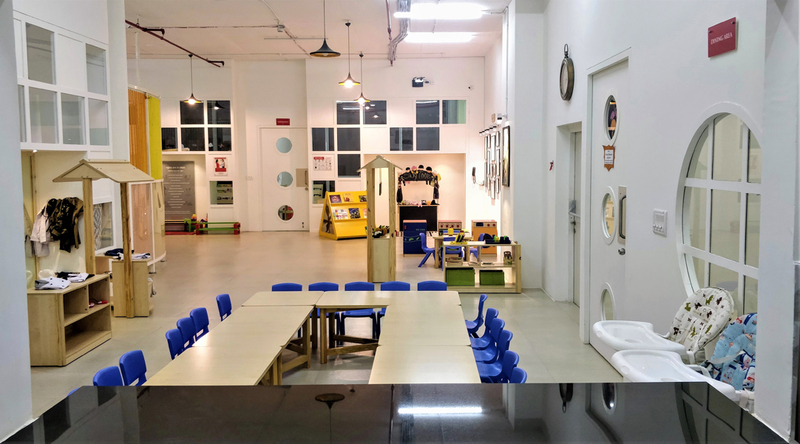 Our prized, Apple-enabled tech studio is designed to teach our little learners to use technology mindfully, and assist in knowledge-building, digital citizenship and conceptual learning. We maintain high-quality standards of safety, health and hygiene in our environment – CCTV coverage encompassing the entire school, daily temperature checks, 24 hour security, biometric entrance, background clearance on all support staff, scheduled fire drills, weekly deep sanitization of the school, child friendly furniture and resources, and well-trained staff are just a few measures that we strictly adhere to. Freshly prepared snacks and meals are served to children from our in-house kitchen. A nutritious menu plan is diligently followed, ensuring children have enjoyable, healthy meals in our care. Our team is devoted to providing the families with a joyful educational experience that fosters overall development, and a multifaceted environment where the child is safe, happy, healthy and well cared for by educators and care-givers, who display heart in their profession. Unmistakably enthusiastic and admirably warm, Bhanumathi is a thorough professional with over thirteen years of experience in Early Childhood Education. She is committed to understanding the importance of Early Childhood and considers herself a student for life as she begins each day meticulously preparing to raise lifelong learners. Bhanumathi’s association with Vivero International Pre-Schools over the past seven years is an inspirational one. 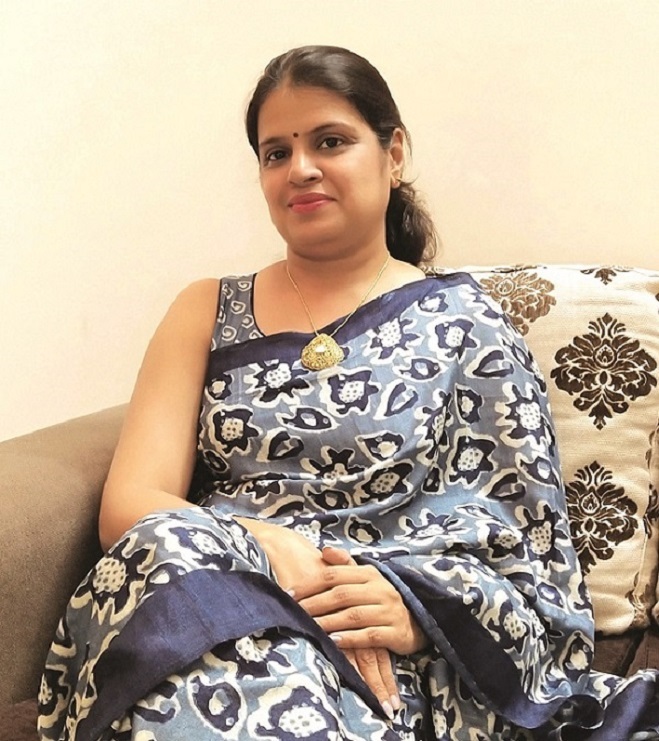 Having joined the Indiranagar School as a passionate teacher she progressed on with her role as an enthusiastic Parents Relation Manager and evolved into an effective Vice Principal with a keen insight into pre-school operations. 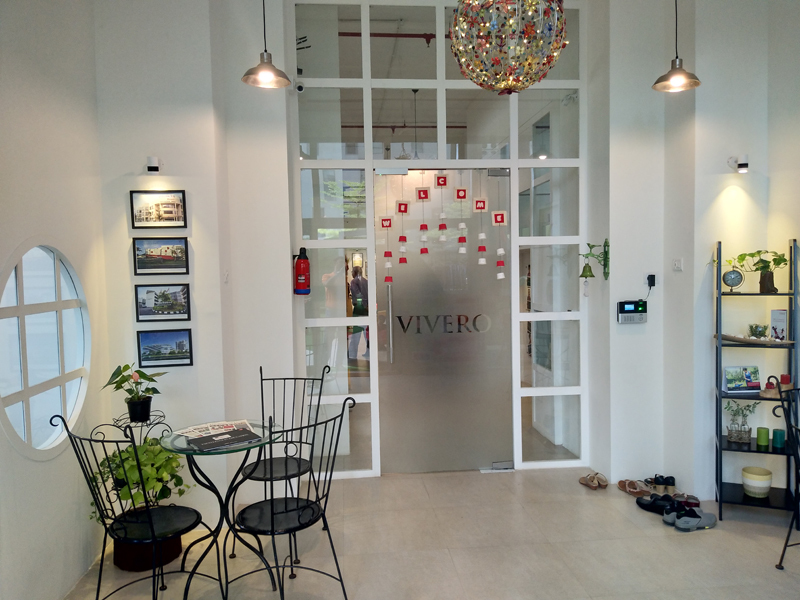 Her experience and expertise are further honed by her Master's degree in Administration that provides her with the added edge to function as a Vivero School Head.